NYC, 04/03/2019, 1:00PM. Midday Jazz: Jazz Singer Performs. 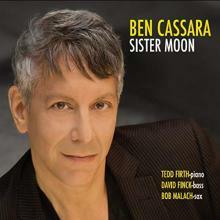 Jazz vocalist Ben Cassara performed iat numerous venues in the New York, New Jersey tristate areas. He has performed at St. Peters Church, the Metropolitan Room, Something Jazz, among others. This concert is a part of an ongoing program for jazz lovers.